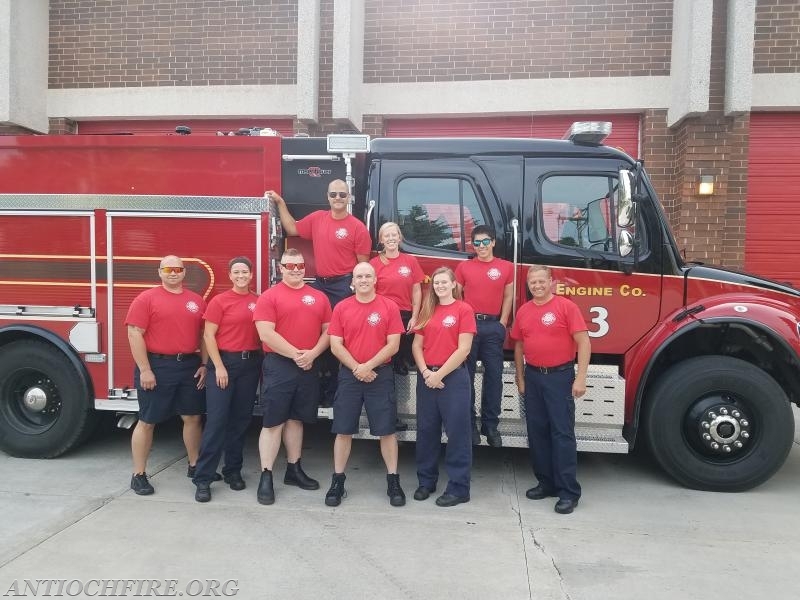 Antioch Firefighters are taking part in the RED Shirt Friday Program which encourages people to wear red shirts on Fridays to show support for American troops. RED is an acronym that stands for Remember Everyone Deployed. R.E.D. Friday was created to remind people of our heroes overseas and show that we are thinking of them. People across the country wear red every Friday to serve as a reminder and spread the message of how important it is that we keep our troops in our thoughts.